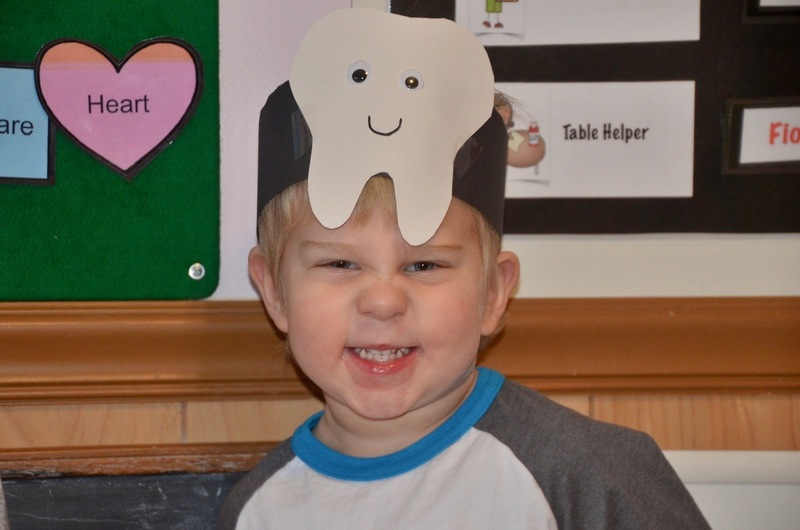 Take good care of your child's baby teeth. They do eventually fall out but until they do, baby teeth play an important role in helping your child bite and chew food, and speak clearly. 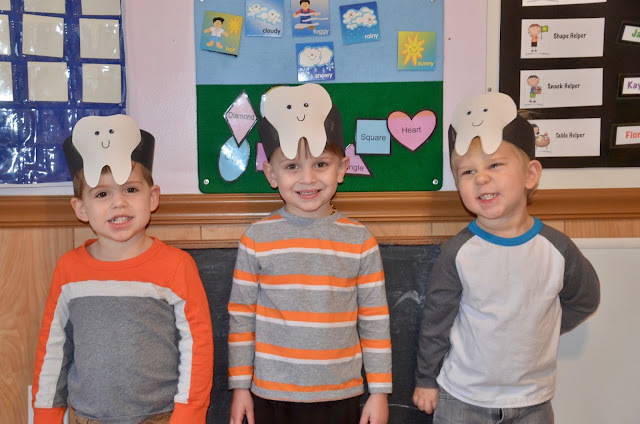 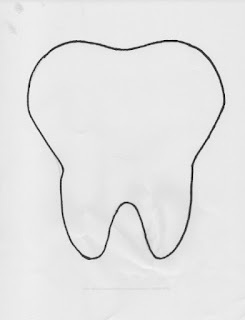 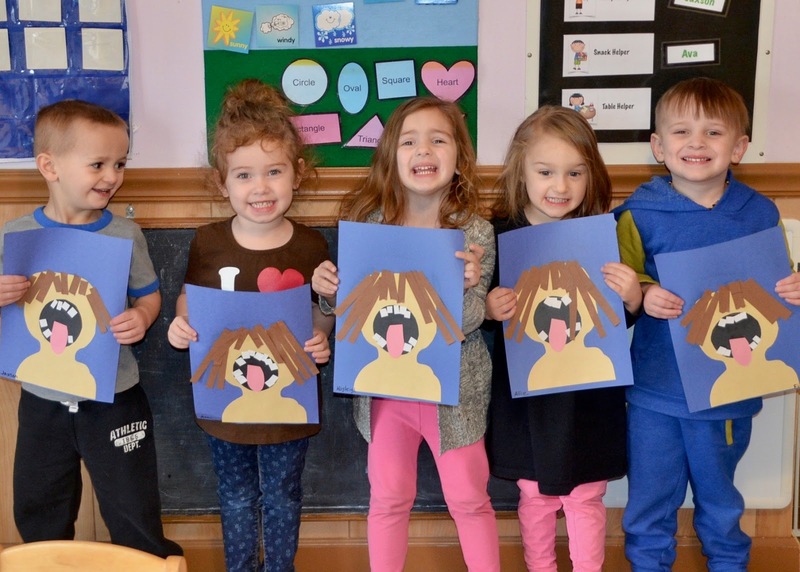 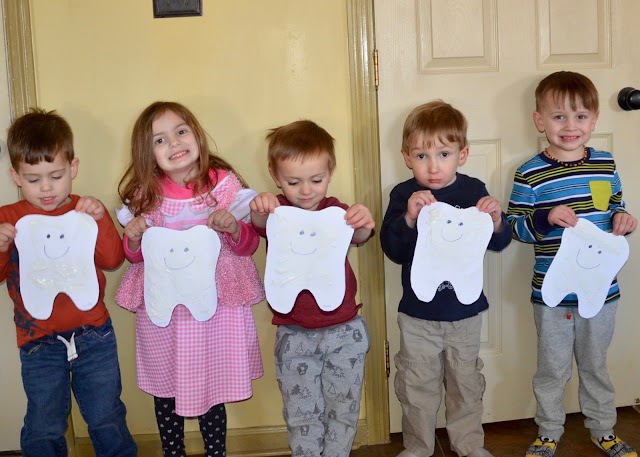 We made a large tooth cut out and "brushed our teeth". 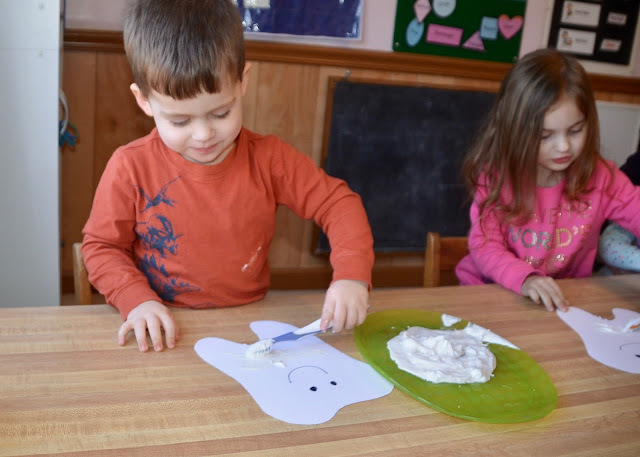 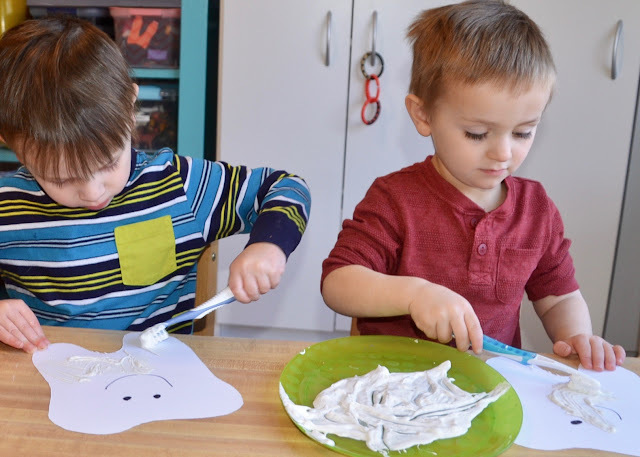 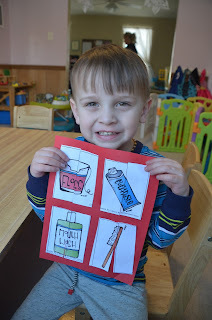 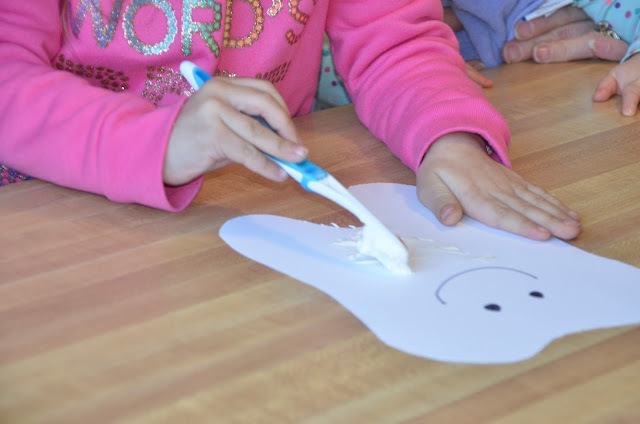 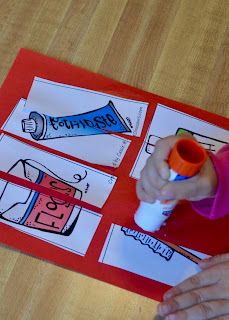 Our tooth paste is a mixture of shaving cream, white paint and white glue. and you brush them all around.